So this week we’re switching things up a bit…yaaaaay….Anyway. As a way to fulfill her duties as our other cultural expert, Morgan will be making a guest appearance in the second half of this blog post to “balance out” the content. Which I am totally for and support because local legends and American folklore can be tricky stuff and we could use all the angles. This post’s topic du jour is the family that started it all: the Peraltas. 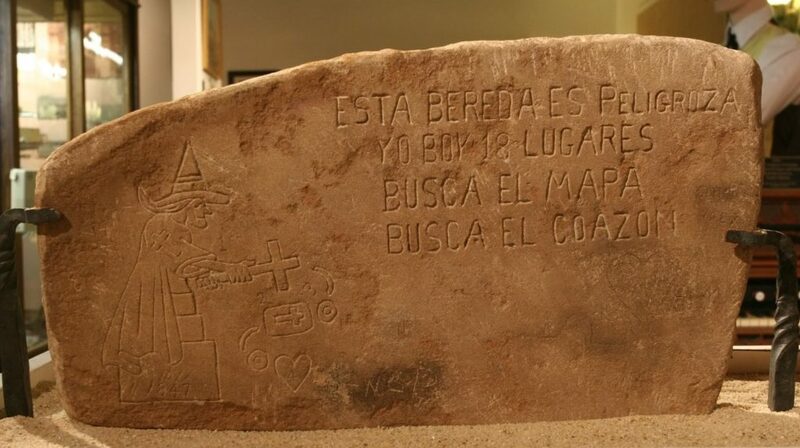 For those of you new to this story, and those of you super familiar with it, the Peraltas are a name that will likely be intertwined with any Lost Dutchman story. They were a prominent family in the area generations before our fabled Dutchman ever set foot on the shores of America and held onto their wealth with a fantastic mine. The family came from Mexico and settled in the area that would one day become Apache Junction and the Superstition Wilderness. And there, they struck gold. Now, I mentioned before that the geographic make up of the mountain makes it unlikely that these enormous veins of gold could truly be there. However, the area surrounding the mountain and other places in Maricopa County are well documented sites of gold deposits (see my previous mention of known mines in the area). So, one theory I’ve come up with, and many others have as well, is that the mine and the Lost Dutchman’s were not one in the same. Most people, at this point, reason the Dutchman’s mine must have been a cache hidden somewhere in the mountain. Regardless, the Peraltas seemed to have stumbled onto something bigger than themselves when they began discovering gold. The story goes that Miguel Peralta, patriarch of the family, stumbled upon the gold and began mining to return it to the family’s ancestral home in Sonora, Mexico. One day, he and his men were ambushed and massacred by local Apache natives on a site that is known to this day as Massacre Grounds. Miguel escaped and the Apaches then buried the gold and hid the location. This has lead many to believe the land and the gold it hid were not only known to the local tribes, but revered and protected. Some refer to accounts that the Apaches believed the mountain to be the home of a thunder god and therefore, sacred. Another account is that of Dr. Thorne, an army doctor who healed a wounded Apache and, as reward, was blinded and taken into the wilderness and inside this vast cache of gold. He was told he could take as much as he could carry before he was blindfolded again and dropped back in town now several pounds heavier in gold. He was never able to relocate this mysterious cave of wonders.